Steve Bannon is out as White House chief strategist. Two administration officials told The New York Times that President Donald Trump informed his senior aides that he decided to remove Bannon, 63, from his position. Trump, 71, had reportedly been mulling when and how to dismiss Bannon for several days. A source close to the former Breitbart News chairman, however, told the Times that he had submitted his resignation to the real estate mogul on August 7, but the move was delayed after violent white supremacists and neo-Nazis rallied in Charlottesville, Virginia, over the weekend. 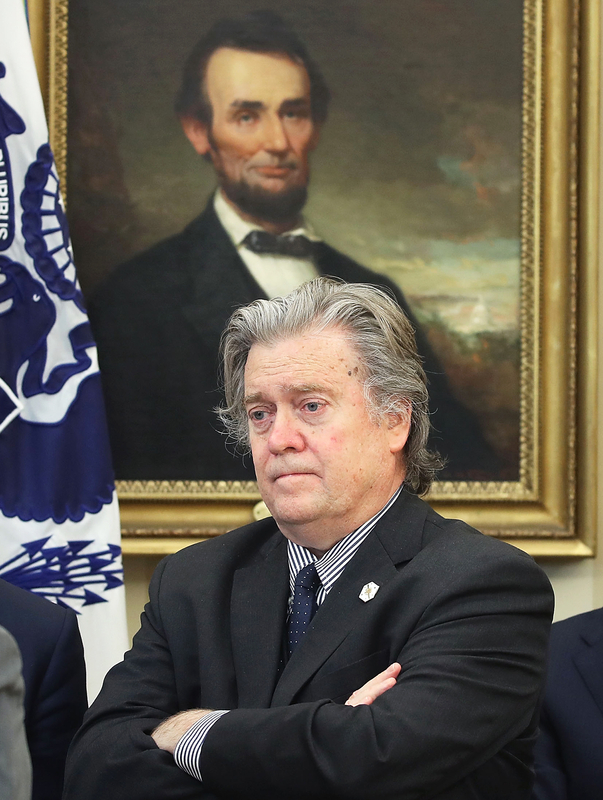 Bannon’s departure marks the end of his turbulent tenure in the West Wing. In addition to butting heads with several other senior officials, he was widely believed to be the driving force behind the president’s “nationalist” ideology. The media executive, who worked on Trump’s presidential campaign last year, did not travel with the former Celebrity Apprentice host during a working vacation to his golf course in Bedminster, New Jersey, earlier this month. Instead, he worked out of a temporary office in the Eisenhower Executive Office Building in Washington, D.C.